With its shatterproof display and a bunch of other additions, the Moto Z2 Force definitely has to be one of the most durable handsets on the planet right? Well, that is up for debate especially after you watch Zach from JerrgRigEverything get his hands on Motorola’s latest flagship and makes it go through his usual scratch, burn and bend test. Can the smartphone survive? Let us find out. 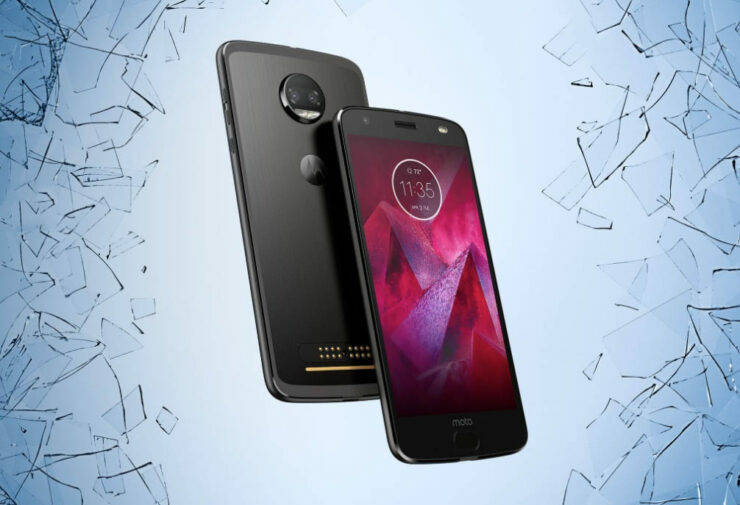 The Moto Z2 Force has several layers of plastic that give the phone its supreme durability from the front end. It does not feature a Gorilla Glass 5 meaning that it will not shatter upon impact with a hard surface. That is definitely a blessing to hear but there are disadvantages to using a plastic display. It is very susceptible to keys, coins, knives and a prominent mark can also appear if you use sufficient force using your fingernails. Simply stated, to give it the complete form of protection, it is highly recommended that you purchase a tempered glass screen protector that will act as a layer of glass protecting it from scratches. The fingerprint scanner is also susceptible to sharp objects, but it is still able to read your fingerprint irrespective of the abuse it goes through. As for the burn test, keep in mind that the plastic layer can make a permanent mark when it comes in contact with flames but other than that, it is highly durable. As for the bend test, the solid aluminum construction is a plus in granting the Moto Z2 Force a high level of durability as it effortlessly passed the bend test with flying colors. Keep in mind that if you are going to be purchasing the smartphone, dropping it will certainly not crack the display, but it will be left with permanent scathings on the front side. That being said, be sure to carry around a device that is wrapped in a tempered glass screen protector at all times. If you wish to check out the torture test, the video has been given below so let us know down in the comments on what you think.